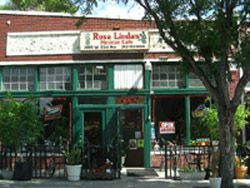 Rosa Linda Cafe is a long-standing, family owned, really good Mexican food restaurant in Denver that contributes to the community. Here are the awards it has received. Now the family is getting death threats. Why? The Romney campaign learned owners Oscar Aguirre and his parents are Mormon. In an attempt to capitalize on this, it asked the restaurant to allow it to hold a campaign event at the restaurant. The restaurant, which says it does not support either party (they are Independents) or hold political events, declined. "It was presented to us that (Romney) wanted to do a political stump here. (He wanted to) talk about our small business (and) because we share our religious views with the candidate and are Latinos it would be great for him to do a campaign stop," Aguire said. "We did say 'no' because we are not Republicans, nor are we Democrats. We will welcome any sitting President of the United States. But, we did not want to be a campaign stop."